UCL Laws is saddened to hear of the passing of valued colleague Professor Roger Rideout, Emeritus Professor of Labour Law and Honorary Fellow of UCL. Professor Rideout was a UCL Laws alumnus (LLB Laws 1956 and PhD 1958) and a member of the Faculty from 1964 until 1999. ‘Roger was a Reader when I first joined the Faculty, but was soon elevated to the Chair of Labour Law. We were on the same top floor of Bentham House, so I often saw him and we had regular chats. He was a friendly colleague who was always happy to give help and advice. He was a prolific publisher and his major work on Labour Law became one of the leading texts in the field. He also sat as part-time Chair of an Industrial Tribunal for many years. Roger played a major role in the life of the Faculty, was Chair of the LLB Exam Board for many years, and sat on the College Promotions Committee for several years. Roger was always ready to listen to students and to colleagues, especially younger ones, and he was a highly valued colleague’. ‘Roger cared deeply about the Faculty and its development, and was the most collegiate of colleagues. He was excellent company, with a wonderful fund of anecdotes and gossip. He is much missed by all of us who knew him’. ‘Roger was a UCL graduate and involved himself in wider College matters beyond the Faculty. He was, for some years, Chair of the College Gardens and Amenities Committee, and was responsible in this capacity for developing the roof garden at Bentham House. Roger was a valued colleague with a shrewd intelligence. He was an excellent lawyer. He was devoted to the Faculty. I particularly came to know him through our shared interest in the College’s estate, and through his Chairmanship and my membership of the College’s Decorations and Gardens Sub-Committee. There we joined forces against a phalanx of dear old ladies who thought hanging baskets of flowers would solve all problems. We called them ‘the ladies of Babylon’. We had bigger things in mind. He was particularly devoted to the Faculty building. I got to understand him more once when I was investigating an imbalance of temperature in Bentham House. His side of the building was cold, the other side hot. I appeared at his room with a maintenance engineer and asked Roger if he had noticed. He promptly showed us a temperature gauge inscribed The Offices, Shops and Railway Premises Act 1963 and produced a little book in which he had recorded the morning and afternoon temperatures for each day of the working week for the past six months. I realised then that Roger was for real. Roger’s obvious sensitivity was not always apparent in his remarks. I recall a Faculty academic trip to Warsaw and Lublin. We all gave papers. Later Roger announced to us that “it seems that one only can appreciate one’s colleagues when one hears them give papers outside the Faculty walls.” It was meant nicely. He could be very charming. I recall a lovely note he wrote to me after my inaugural lecture which I hadn’t at all expected him to attend. He had often professed a distrust of jurisprudence but I came to learn that he really meant bad jurisprudence: when the distinguished philosopher Baroness Warnock came to deliver her Current Legal Problems lecture it was clear Roger was as at home with abstract principles of political philosophy as he was with practical minutiae of employment law. He was a very capable man. I particularly remember that during that visit to Poland, we were fortunate to be taken to the Solidarnosc headquarters (this was 1991, in the middle of the trade union revolution in Poland). Roger asked the right questions and clarified matters for them as well as us; he brought out the point – and was struck by it – that for them freedom meant the creation of the closed shop. Roger had acute judgement of people, and he did not suffer fools. Most of us, at some stage or other, would receive a short note from him, outlining one’s sins. But he always followed up a few days later with the most charming apology. His one flaw, at any rate to me, was eccentric and endearing. He thought that he wanted most to be Head of Department, a post denied him for the reason that, apparent to all, his was not that kind of temperament. There are many things he did for the Faculty. He improved the quality of our Current Legal Problems lectures, and publications, and he was one of the early instigators of the impartial and objective examining structures that we enjoy today. He was a strictly fair cricket umpire. He was an amusing – and cynical – companion at our Faculty parties. Roger was a long-time member of the Faculty. He had many stories about his colleagues of the late 50s, 60s and early 70s. Some barely defied belief. On his retirement in 2001, he gave a large sum of money towards the upgrade of the Faculty Roof Garden, the original creation of which was largely through his encouragement. He was especially concerned that a permanently running water feature, in the middle of a large circular stone, should be central. In his final year with us, we would see him out there, looking at the flowers and inspecting the construction of his small fountain. Stephen Guest, Emeritus Professor of Legal Philosophy, Principal Research Associate. 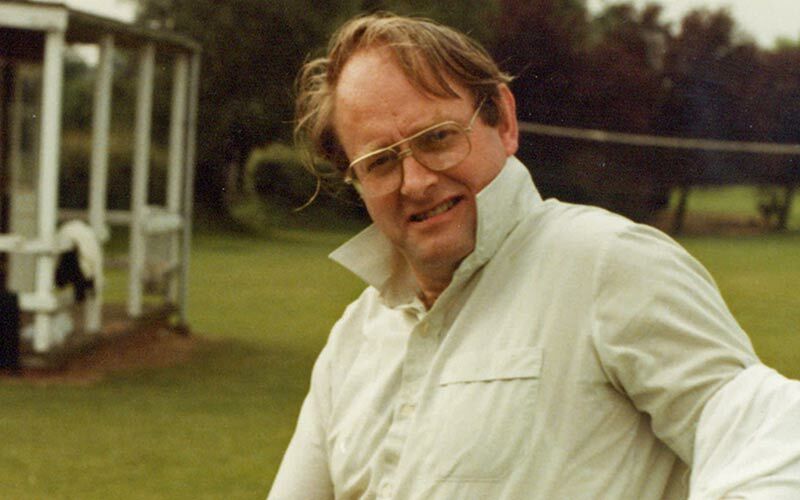 Image 1: Emeritus Professor Roger Rideout at the staff-student cricket match, June 1985. Image 2: Emeritus Professor Roger Rideout with the Queen. Image 2: Emeritus Professor Roger Rideout (on the extreme left) with LLB examiners, June 1990.